Bologna has a timeless siluette with a peep toe front and an adjustable ankle strap. Classic style and comfort. 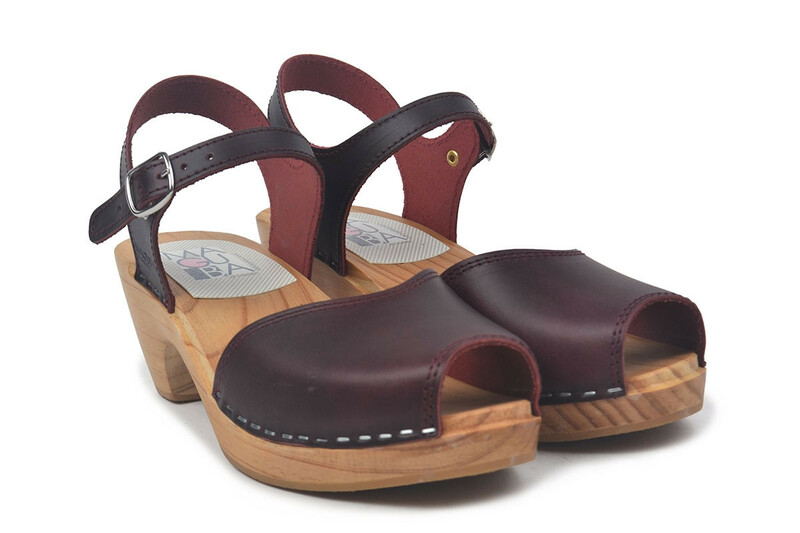 The sandals are made in bordeaux pull up leather on our varnished natural Low heels. Please note these footbeds are slightly wider than our usual Low bottoms. EU & USA: We ship with UPS and the delivery time is normally 2 - 5 working days. Free shipping. Rest of the world: We ship with normal Post and the shipping time depends on your country but it is normally 4 - 12 working days. 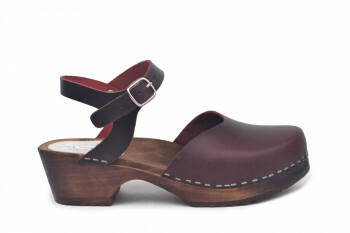 Maguba wants to ensure your complete satisfaction with the clogs purchased. For online purchases, we will accept clogs not worn, used or damaged for a refund if received within 40 days of dispatch, enclosing a copy of your order confirmation. 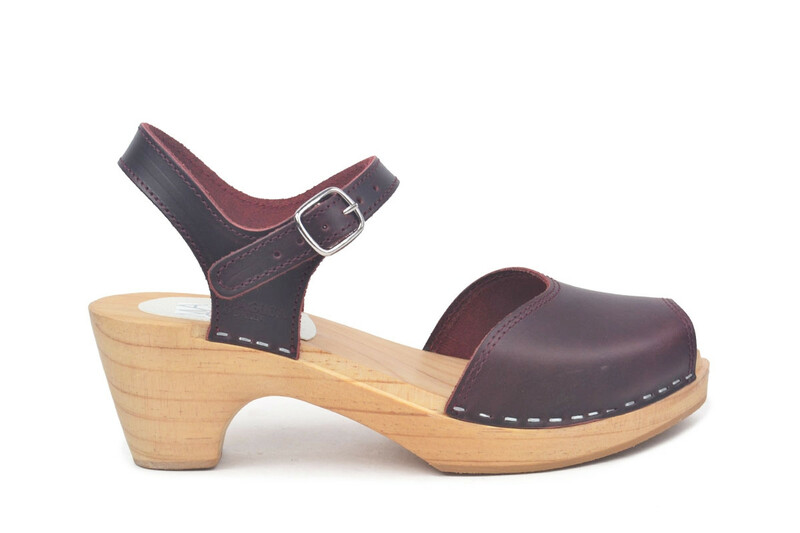 The last of the Maguba clogs and sandals usually fit well for a medium-to-narrow width foot. For more info please see our Size Guide with measurements. Maguba © 2017 All Rights Reserved.